Anyone who has ever listened to Alex Jones knows that he uses hyperbole and other performance techniques to get his political messages across. However, not everyone agrees this is simply part of his very public persona. His ex-wife’s lawyers are going after Jones in a custody battle for the couple’s three children by using his Infowars shows to back-up their claims that Alex Jones is unstable. Unfortunately for Jones, his ex-wife’s lawyers have a never-ending cache on YouTube and the Infowars website videos. In fact, they’ve already gleaned several clips they hope will prove Jones is unfit to raise his children. 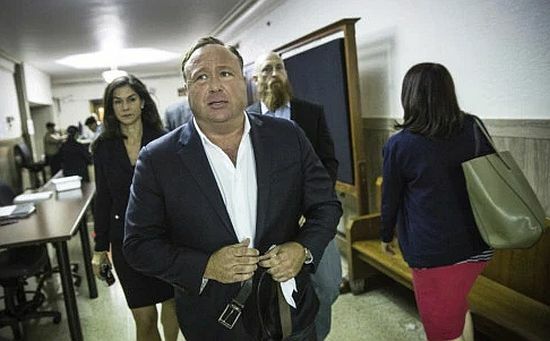 The three children have been living with Alex Jones since the couple’s divorce in 2015. His ex-wife, Kelly Jones claims that Jones’s on-air persona is the same as his off-air persona. According to Jonathan Tilove (American-Statesman Staff writer), Kelly Jones is suing for either sole or joint custody of their children, a son (14) and two daughters (9,12). 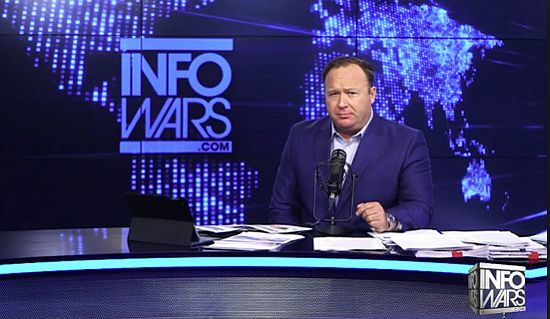 He explained that Alex Jones is a performance artist and projects a specific on-air persona (1). She was referring to Alex Jones’s on-air response to Adam Schiff, (D-California) after the congressman suggested Jones and Trump advisor Roger Stone were involved in the so-called Russian conspiracy that Democrats continue to push even though no such evidence has been given. An argument quickly deflating in the wake of Trump’s action against Syria. The Daily Beast reported that one of the Infowars videos Kelly Jones’s attorneys presented showed Jones removing his shirt during a broadcast as he ranted in what was described as a “slurred” rant (2). 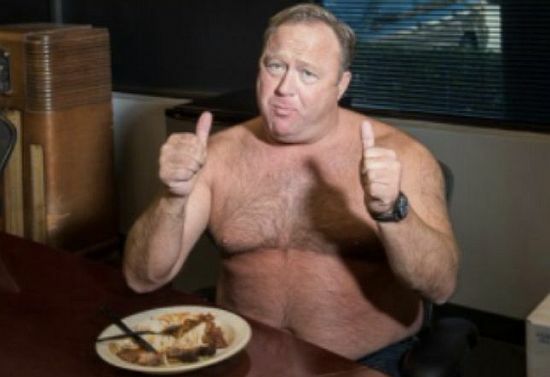 Alex Jones’s attorney’s countered that the video was simply part of the Infowars show about “male vitality” and the FBI surveillance/spying on American citizens. He argued that Jones’s performance persona was done within his political satire. They pointed out that it was not related to Jones’s parenting skills or ability. The next video shown was of Jones and his then 12-year-old son playing video games that Jones and his Infowars team had created. Wilhite didn’t have any objections to the video being shown to the jury and Naranjo approved it. Judge Naranjo refused to allow the Schiff video be shown to the jury. She did green light a video of Alex Jones smoking marijuana in California. How the jury will take that video remains to be seen. 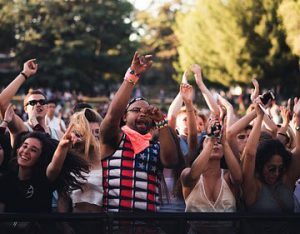 However, marijuana is legal in that state, so it may not have much of an impact on the jury. As for the Baldwin and Lopez video clips, The Daily Beast reported that Naranjo didn’t watch them and it remained unclear if they would be included in the custody trial. The court battle doesn’t appear to stop with just the custody. 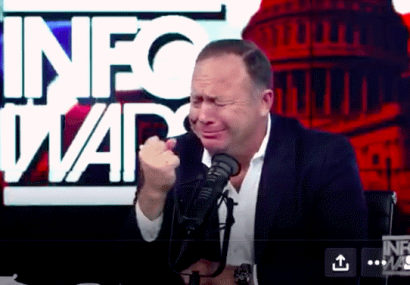 According to The Daily Beast, Kelly Jones’s lawyers attempted to add a “$7 million emotional distress tort claim against Alex Jones” onto the custody trail. His defense team complained that was too late to prepare for the 172 separate allegations within the claim. Judge Naranjo agreed and didn’t allow it. However, she added she’d expedite it in a second trail. Kelly Jones’s lawyers also filed a motion requesting further compensation from Alex Jones in an effort to defray her legal expenditures. The Daily Beast reported that Kelly had already spent $3.5 million in the custody pursuit and owes her attorneys $200,000. The motion claimed she couldn’t meet her legal obligations or her monthly bills with the $43,000 stipend she currently receives from her ex-husband. Judge Naranjo denied the motion. The Daily Beast reports that Alex Jones remarried and the couple are expecting their first child within the next few weeks. The burden of proof is on Kelly Jones and it all hinges on the jury.